Brazil has 7490 km of coastline, but perhaps the best diving is 350 km (220 miles) off the north east coast at Fernando de Noronha. This mountainous archipelago comprises 21 sparsely populated islands. A national park and UNESCO World Heritage Site since 2001, Fernando de Noronha boasts warm water; caves, caverns and tunnels; spectacular rock formations and many, many reef and pelagic creatures. Another good diving area is Laje de Santos Marine Park, near Sao Paulo in the south. This is famous for masses of manta rays. São Pedro & São Paulo (not to be confused with the mainland city of the same name mentioned above) is a small and isolated oceanic archipelago located in the equatorial mid-Atlantic Ridge. It is a hotspot for pelagic fish like sharks and may serve as a stopover during large-scale migrations. Most of these species gather at the archipelago between January and June. Brazil is a very big country, only slighly smaller than the USA. It shares borders with every South American country except Chile and Ecuador. Recently there have been protests in a number of Brazilian cities, including Rio de Janeiro, Sao Paulo and Belo Horizonte. The British Government's advice is to avoid all protests and demonstrations and take out comprehensive travel and medical insurance before you travel. On entering Brazil you will need to be able to demonstrate that you have enough money for the duration of your stay, and provide details of your accommodation and evidence of return or onward travel. Make sure your passport is stamped. If it is not, you may be fined on departure. Keep your immigration landing card. You'll need it when you leave. If you lose it you may be fined. Your passport should be valid for a minimum period of 6 months from the date of entry into Brazil. 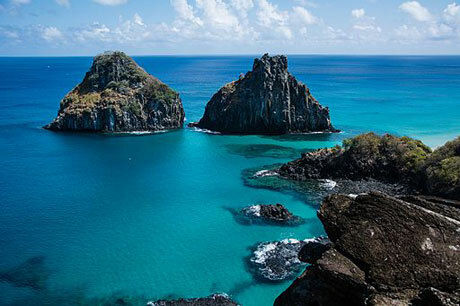 Find a dive operator in Fernando de Noronha. Peaks of the Southern Atlantic submarine ridge form the Fernando de Noronha archipelago (and Rocas Atoll). They represent a large proportion of the island surface of the South Atlantic and their rich waters are extremely important for the breeding and feeding of tuna, shark (including hammerheads), turtle, billfish and marine mammals. The islands are home to the largest concentration of tropical seabirds in the Western Atlantic. Baia de Golfinhos has an exceptional population of resident dolphin and at low tide the Rocas Atoll provides a fantastic seascape of lagoons and tidal pools teeming with fish. An oasis of marine life in relatively barren, open ocean. You can dive Fernando de Noronha all year. The best visibility is during September and October.
" Exuberant stadium-like rock formation, 16m max depth and 30m average visibility, with abundant marine life, from reef and nurse sharks to small multicoloured reef fish. It is also a national park, so it is protected by law. Brazil's best, by far!" "Open sea dive, several small caverns and coral reef formations. A lot of small creatures, small shrimps, colourful school of fishes. Some lobsters and octopus. Encounters with Lambarus (Lime Sharks) and some hammerhead sharks, manta ray, eagle ray and more pelagic creatures." "Regarding Pedras Secas dive site, its name means dry stones in Portuguese. Is an arena like formation, surrounded by small passages and small caverns and cracks in the rocks. The local divemaster will guide you through the best parts of the site and will always call your attention to the wonders that come into sight, deep range from 12 to 20 meters and there is no strong drift, so relax and enjoy the dive. Marine life can be described as unique and plentiful. Colourful fishes habituated with the presence of divers and some are even curious about the divers, getting closer to take a look at "such a strange creature that makes bubbles". There is no need to be lucky to find nurse sharks and green turtles, they are always around. Try sneaking in the small holes and slits in the bottom and you will probably find some lobsters, crabs, shrimps and octopuses ready to show their quick colour changing show. Quite often, eagle rays and reef sharks can be seen. With some luck, you may encounter Manta Rays and Hammerhead Sharks, an unique experience. All this, spiced with a warm water (27oC / 80oF), visibility ranging from 15 metres (50 feet) in the bad days to more than 30 metres as an standard. There are three good operators in Noronha, but I strongly recommend using Atlantis, the second choice is Aguas Claras. While not diving, you can enjoy the wonderful beaches, where snorkelling is always welcome, and several tracks with amazing landscapes. Food is always good, based on local fishes. You can even find a sushi-bar with fresh tuna sashimis. The only set back is the accommodations, you will not find 5 stars hotels, only small "pousadas" with no luxury. Despite rustic, all accommodations are clean and usually count with air conditioning, small fridge and TV. At night, experience the local music at the Bar do Cachorro, and try dancing a little Forr�! Futher to the Pedras Secas dive site, there are several other dive sites, which will lead you to dive for as many days as you can while you are in the island. It is worth mentioning the Corveta, a warship wreck technical dive that can be made by divers with more than 50 logged dives and Nitrox certified." The Corvette sank in 1982 after hitting an uncharted rock. She rests at 60 m and is in very good condition.
" A warship wreck technical dive that can be made by divers with more than 50 logged dives and Nitrox certified. " 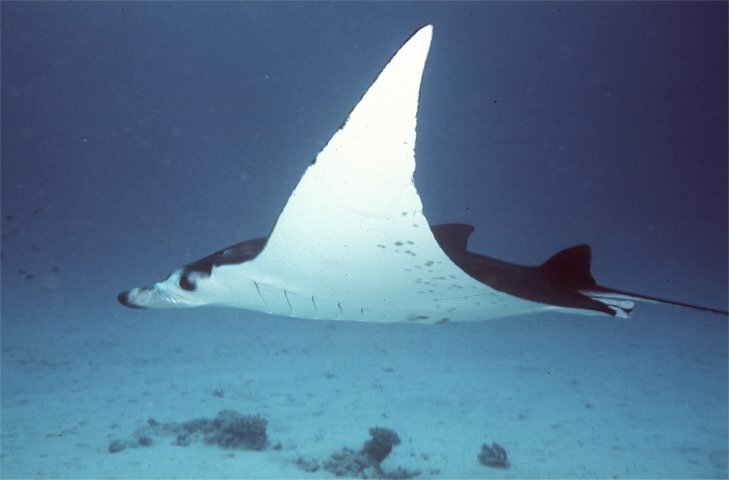 Laje de Santos Marine Park is famous for its gathering of giant manta rays, Manta birostris. Traditionally this occurred between May and September, but in some recent years the rays have arrived as early as March. Laje de Santos is 25 nautical miles from the port of Santos which is near the city of São Paulo. Find a dive operator in São Paulo. There are several dive sites at Laje de Santos. At the easterly end is the wreck of the fishing boat Moreia, at 22 m. She was deliberately sunk in 1995 to attract both marine life and divers. According to the Laja Viva Instituté "Depending on the conditions, cold water and currents may turn this into an uncomfortable dive, but it does not present huge difficulties if the dive is guided by someone that knows this dive site." At the west end is a deeper dive, Anchor Ledge. Several anchors from fishing boats have been lost among the rocks, and these are frequented by big grouper and pelagic fish. Maximum depth is 40 m. Nearby is "Swimming Pools", a lovely dive spot with many turtles and even more fish. Depth from 6 to 35 m.
Two miles southwest from Laje is Calhaus. This rock formation includes a U shaped tunnel and an arch reaching above the water. You can see large pelagic schools of fish and several species of rays. More information about Laje de Santos is at the Laje Viva Instituté site. This non-profit organisation is dedicated to preserving and protecting the Laje de Santos Marine State Park.
" An oceanic rock, 70 miles from shore of SP state where pelagics find some harbour. Further to the abundant marine life, there is small and pretty conservate trawler wreck to explore." "Several people come to the main city in South America for business reasons and forget their diving equipment. While in São Paulo, you get a car and in less than one hour you are in Santos, where you get a boat and within another one and a half hour you will be at Laje de Santos. It is a 400 m rock emerging 70 kilometres from the shore. There are dives for all levels of certification, with deeps ranging from 14 m to more than 40 m. Visibility sometimes turn into a lottery there are reports of less than 5 m but usually you will find 15 m and sometimes more than 25 m. Several parrot fishes and angel fishes will be surrounding you. A small trawler wrecked is a welcomed surplus to the site. Starfishes and octopuses can be found in the rocks. Quite often there are encounters with the main visitor of such site, the Manta Rays, which turns an already good dive in such site into a unique experience. " Abrolhos covers an area of 913 sq km, including an archipelago of four (out of five) islands. It was Brazil's first marine park and is found in the northeast of Brazil. Charles Darwin, aboard the HMS Beagle, visited here in 1832. The dry season, with the best visibility, is from May to September. The archipelago is an important breeding and calving area for humpback whales in July to November. The area is rich in coral reefs. Caravelas is the most popular gateway to Abrolhos. "There is an amazing diving site called Abrolhos. Fantastic place. It is an island, so you have to stay in the boat. I stayed 3 days there and was very well impressed. " "Acaiá tip. Diving with clear water, but it is recommended to be the first of the day because the sea conditions change before noon. Many rocks forming passages, and for the more experienced divers there is a cave. Maximum depth of 12 meters, but the most interesting is 5 meters. " "Ideal for those who want a peaceful and diving with lots of life. It is possible to see turtles and seahorses in the shallows. Sheltered spot, favored by divers basic. Maximum depth: 12 meters. " "Ideal One of the few wrecks that can be seen in a free diving. Situated 7 feet deep, the wreck of the helicopter is situated in Lage Matariz of the Big Island. You can not enter because it is a small wreck, but yields very nice photos." Recommend a dive operator or list your diving company on this page. 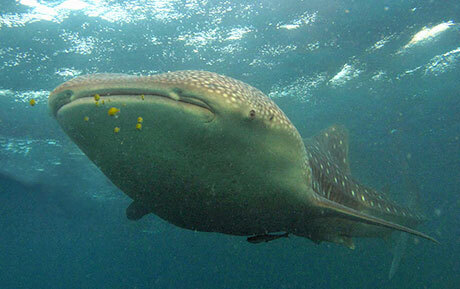 "Mar Sub Divers have the best diving in Natal since 1995. 15 years diving and making friends." "One of the two diving operators in the region. " 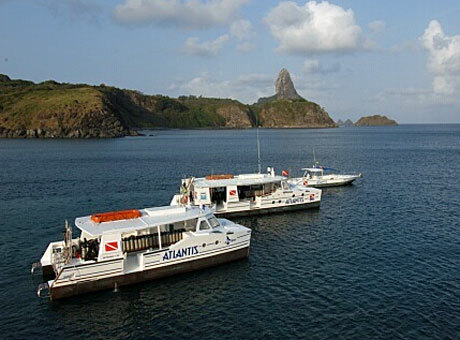 "There are three good operators in Noronha, but I strongly recommend using Atlantis." "The Vdiver Dive School is located in Rua S�o Pedro, 60 - Niteroi, Volta Redonda-RJ/Brazil. The cost of diving is acessible, and the school provides diving courses and conducts tours for non-divers. Is a very personalized service, the company fits the schedules of students. Output value dive with full equipment: R$ 225. Discovery (dive for non-divers): R$ 200. " A travel guide told in stories. A collection of music from Brazil. Please send us your comments on Brazil. Do you want to recommend a diving centre or dive site? Let us know. Have a question - we're waiting to hear from you. If you own a dive centre get yourself added.